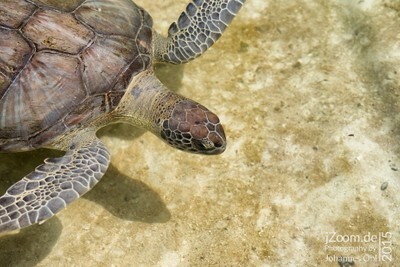 Green Sea Turtles are growing up to 1.4m length with a typical weight of 190kg. They are living in all tropical or sub-tropical oceans. The beaches of Florida are one major nesting site for the atlantic population.